Ernesto Alejandro Guerra Valdés (Havana, Cuba, 1990) is journalist and writer. Former student of the Communication Faculty of the Havana University, graduation 2014. Ernesto is Creative Chief and one of the founders of Postdata.Club the first Cuban website focused in Data Journalism. Postdata.Club was nominated for three awards at the 2017 Data Journalism Awards and in 2018 it received the prize of General Excellence in the category for micro-newsroom in the Online Journalism Awards. As member of Postdata Club, Ernesto is teacher in the Havana University of Data Journalism, and also has been invited in 2018 to give two lectures in the Latin-American Congress of Investigative Journalism. 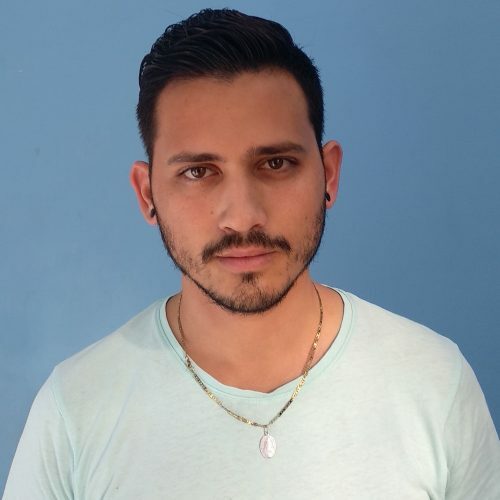 Also, he is the Newsroom Chief in the Cuban magazine Juventud Técnica, about sciences and has been awarded with the Sandra Award (mention) of travel chronicles and the Oscar Hurtado prize for best Science Fiction short story in 2016. Ernesto also works as writer for children radio and TV shows.